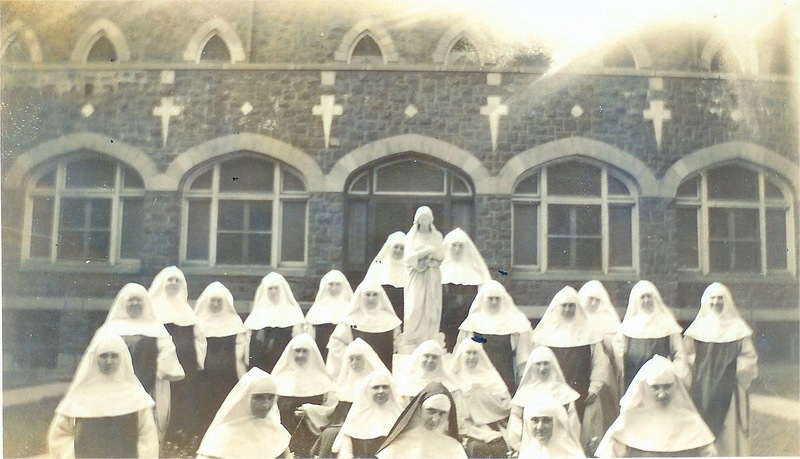 On this day 91 years ago Mother Mary Imelda of Jesus and 14 nuns from the Perpetual Rosary Monastery in Union City, NJ came to Summit to begin a new sanctuary of praise honoring our Lady of the Rosary. Daily,we are reminded that Foundation Day was on the Feast of the Holy Guardian Angels because wooden carved states of the angels grace our Choir, standing watch over the nuns. This special day is supposed to an official "day free from work" but alas, tomorrow is our annual Rosary Sunday when we honor our Lady. The Blessing of the Roses takes place at this Holy Hour and dozens of roses needed to be prepared for those coming among other things. We celebrated with a festive meal (with TALKING) at noon and tonight in the refectory at supper we read from the original chronicles of the monastery about our first days in Summit. 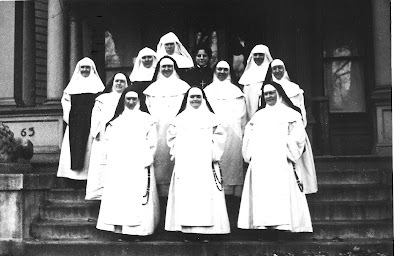 As the years pass and all our original foundresses and now even most of those who knew them have gone home to the Lord it is important that the next generations learn the history of the community. We thank God for all the graces and blessings He has given us these 91 years! For all our Sisters, for our benefactors, for the privilege to adore Him night and day with the angels and through the loving heart and hands of our Lady. We pray that many, many more nuns will follow us and fill the monastery to overflowing! The Foundresses on the steps of the first monastery on New England Avenue. Two of the lay sisters were out begging when this photo was taken. 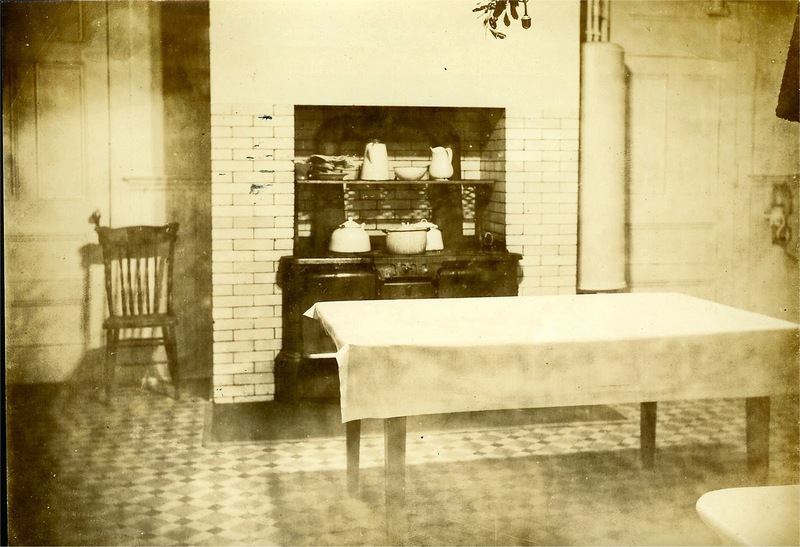 The kitchen in the original monastery. 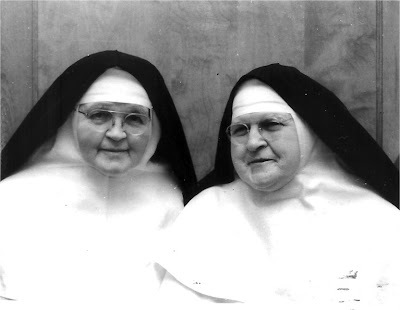 Mother Mary Imelda and her blood sister, Sr. Mary Emily. 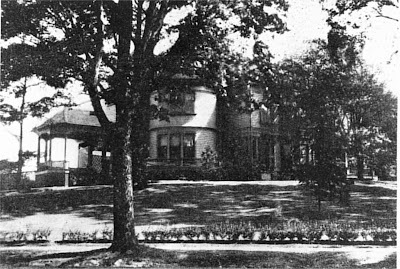 The First Monastery on New England Avenue. This would be the community's home until the current monastery was completed in 1939. First page from the Chronicles telling the story of the first days at the new monastery. 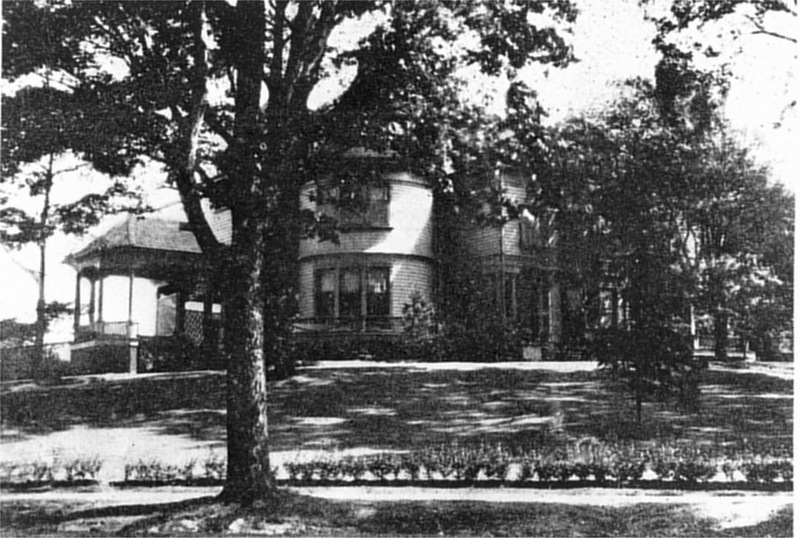 Account of the first "Grand Rosary Pilgrimage" in 1922. The medal of our Lady of the Rosary that each sister has on her habit rosary was blessed at this pilgrimage.